This jam is the best in the world. 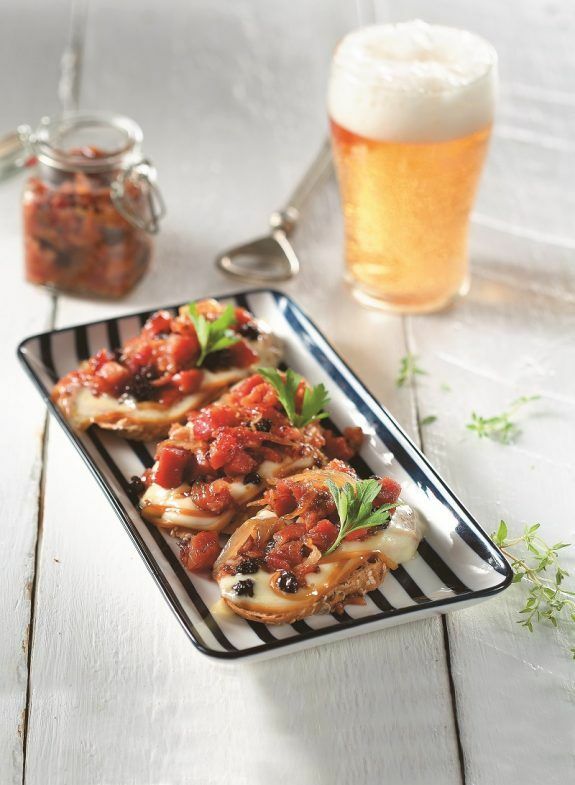 We love to serve it as an appetizer with cheese on top of bread or crackers. Bacon jam: In a large skillet, on medium-high cook bacon until fat is rendered and bacon is lightly browned, for 5-20 min. stirring occasionally. Drain on kitchen paper. Pour off all but 2 tablespoons fat from skillet, add onions and cook until for about 10 minutes until caramelized. Add remaining ingredients, bring to a boil and cook for about 2 minutes stirring and scraping up browned bits from skillet with a wooden spoon. Stir in bacon and a little salt. Transfer mixture to a saucepan and cook until liquid is syrupy and reaches a jam consistency. Transfer to a food processor; pulse until coarsely chopped. Let cool, then refrigerate in airtight containers, up to 4 weeks. Preheat your oven grill on high heat. Bake bread slices topped with smoked cheese and 1 tbsp jam, for 5 minutes, until cheese melts and jam spreads. Serve sprinkling with a little parsley.